Ontario is the first province in the country of Canada to go legal with online gambling but it seems that all other provinces as well as the country as a whole wishes for online gambling to be legal as well. 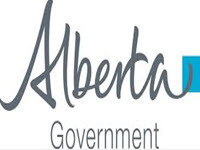 This is why the province of Alberta is unfortunately the second last province to present online gambling to lawmakers, their doing this in hopes that this province will also be able to reap in from the profit of online gambling. The Alberta Gaming and Lottery Commission are making this presentation to lawmakers in Alberta. Bill Robinson, the president behind this commission has liked to note that there are millions of residents around Alberta who spend hundreds to thousands per years at offshore online casinos. Allowing for online gambling to be legalized and taxed cheaply will bring in millions for the province, this’ll be the highlight of this presentation. None of the estimates relating to how much could be brought in for the province has yet to be revealed as of right now. In the upcoming days this presentation is being. Saskatchewan is the other only province which doesn’t provide legal online gambling, this is mainly due to the fact that their population is small and that many in the area choose not to gamble. None the less this could allow for Alberta to become one of the more profitable provinces. It’s oil reserves are one thing but the money brought in from online gambling will be an entirely different thing.